Click the button below to add the SmartPad 7inch Android 4.4 Quad Core Lite Tablet with Options to your wish list. Tablet Standard Package includes： Tablet, USB cable, OTG cable, stylus pen, earphone,user manual. Tablet with Cartoon Bag bundle includes: Tablet,USB cable, OTG cable, stylus pen, earphone, user manual and a cartton bag with tablet holder. PU case bundle: Please choose a colour when you add the tablet to your shopping cart. If you do not have an option of the colour we will send out case in radom colour. 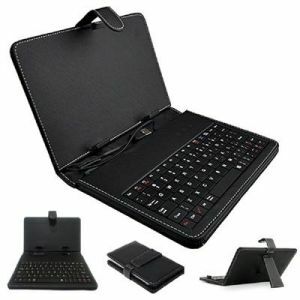 Tablet with Keyboard Case bundle:Please choose a colour when you add the tablet to your shopping cart. If you do not have an option of the colour we will send out a case in radom colour.